Doctor Who, Twitch, and why are we surprised younger viewers love classic Who? Posted June 5, 2018 by Andrew Blair & filed under Features, News, Opinion. There is a theory in the Philosophy of Science called the ‘Pessimistic Meta-Induction Argument’. Simplified, it states ‘Well, we’ve been wrong before, so we’ll probably be wrong again’. In related news, you cannot accurately predict how people will react when viewing pre-1989 Doctor Who stories for the first time. One person’s treasure is another person’s five minute laughing fit at the Magma Creature. Received Fan Wisdom is in flux once more as Twitch, a service aimed mainly at live streaming for gamers, is showing a lot of the original run of Doctor Who in broadcast order. Accompanied by a barrage of text to the right of the window, it’s like watching an episode with friends over MSN Messenger, only now you suddenly have 100,000 folk Binging Chat. A significant part of the audience for these streams is people who grew up with the post-2005 series, and who have not watched the ‘Classic Series’ before. Thus, Received Fan Wisdom is being challenged. At the time of writing, we had just witnessed a significant clamour for The Web Planet, a story that is generally regarded as a noble failure at best and a tedious slog through none-more-Sixties experimentation at worst. Combined with Doctor Who Magazine’s recent shakeup of its Time Team feature, and we’ve suddenly got access to a lot of young adults’ opinions on Doctor Who. The first Time Team feature looked at the opening episodes of Time and the Rani (generally hated and considered a nadir of Doctor Who) and Spearhead from Space (the story that launched the hugely successful Pertwee era of the show). In the feature the fairly sensible point was made that, while the camper excesses of Time and the Rani are still eye-roll inducing, it’s a much pacier and incident-packed opening episode. Conversely, in the first episode Spearhead from Space, not a lot happens. It’s worth considering that these are both four-part stories where each episode was broadcast weekly. Even when watching all four episodes in one sitting, the fact that we have an introductory episode sets the tone. In this case, Time and the Rani’s first episode could genuinely considered to be more promising than Spearhead from Space’s, even if the quality levels then switch in the stories overall. Prevailing wisdom needs to be questioned, and even if the answers remain the same, the questioning strengthens them. It’s harder to do this when you’re entrenched and your view is obscured. I certainly would not have spotted this. Doctor Who-wise, I cannot see the wood for trees, and thus shall try to shift blame to the Rani for it. Plus, there’s something great about watching Doctor Who with other people and seeing their positive reaction. Doing this via Twitch produces this in abundance, while fundamentally being the same set up as fan club viewing nights. At university I joined a newly formed Doctor Who fan society, which at that point consisted in less than a dozen people watching City of Death in a basement. Five years later I went to a screening of The Two Doctors in the Union TV room and got apologised to because there was only about fifty people there. Normally, I was assured, it was much busier. The culture in viewing had changed, so that the fifty plus people watched Doctor Who as if at the cinema. 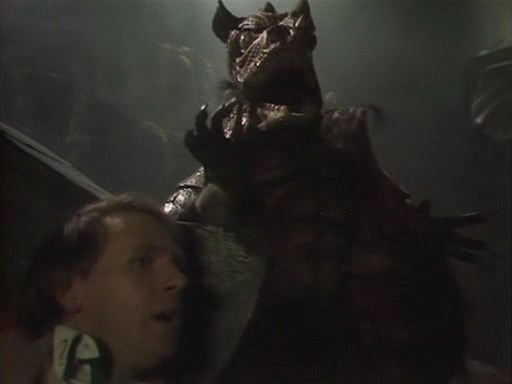 When the society started, good-natured heckling was encouraged (said good-natured heckling led to me noticing a sizeable plothole in The Two Doctors, but that’s what headcanons are for). As the society grew alongside the new TV series, more people joined and started watching older episodes, and the heckling grew lesser because people wanted to watch it properly. Twitter has since changed the way people watch television. Shows such as The Apprentice invite a repetitive formula because people enjoy tuning in to talk about them online, rather than necessarily enjoying The Apprentice by itself. Eurovision is, perhaps, the peak of this at the moment. Doctor Who and other dramas invite this less due to the need to actually focus on the story, but Twitch is set up specifically for users to comment on the video they’re watching. Thus, we’re back in a basement heckling again, only this time thousands of people are there too. 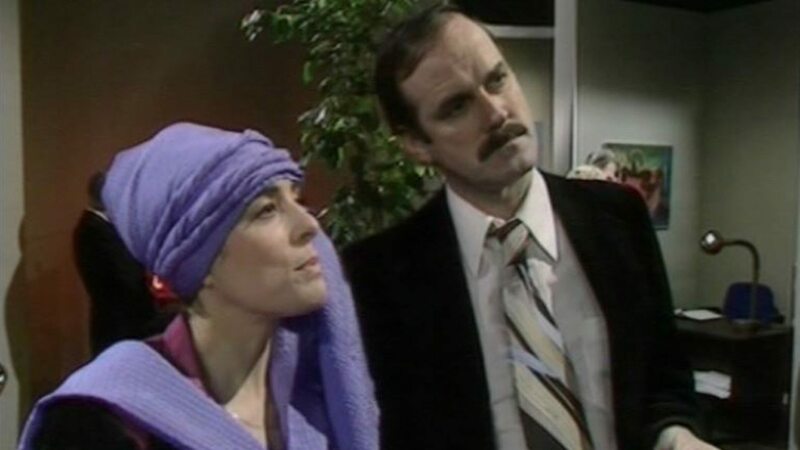 And it’s a joy to see people watching the original TARDIS crew for the first time and immediately start doing what fans do – generating in-jokes and shipping Barbara and Ian enough to power a small country. They’re enjoying themselves, and it’s delightful to see. Fresh eyes have witnessed slower-paced Sixties serials, and they’ve already generated new memes, new fan theories and invited reappraisals of the Hartnell era. As an older fan, long may it continue. Let us be wrong again.